Gold Elemente mit leichten Alterspuren s. Bilder, die hintere Umrandung ist leicht lose wenn der Deckel nicht aufgesetzt ist. Wonderful and rare Panthere de Cartier factice bottle for Parfum de Toilette. The bottle is in excellent condition with only a little tarnishing on the gold metal parts. All labels are intact and there are no chips cracks or repairs. 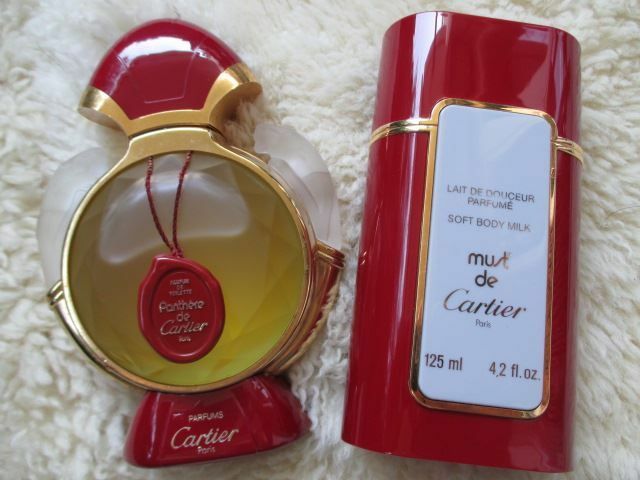 The bottom of the bottle is embossed Parfums Cartier, Panthere de Cartier 200 ML 3.3 FL Oz, made in France and stamped in white Factice-Dummy.